Established in 1997 the Childcare Business Coalition, has a membership of all the major multi-site providers in Hawaii, operating on four islands. Together, we serve over 4,000 young children as young as 6-weeks old up through 5-years old each year. Our mission is to promote quality center-based early education and care which is accessible to all families with young children ages six weeks to five years-old and to promote public policies which support that effort. The Childcare Business Coalition of Hawaii is also a member of the national Early Care and Education Consortium created to be a collective “voice” in shaping public policy that supports high-quality care and education for children and families. 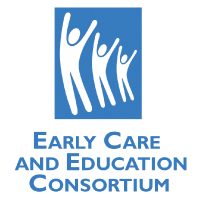 The Early Care and Education Consortium is the only national organization exclusively representing the voice of child care providers on Capitol Hill and in the states.